Forget stoic Peyton Manning vs. brash Richard Sherman – the biggest Super Bowl story surrounds unprecedented security for Super Bowl XLVIII, where a projected 400,000 will invade New York/New Jersey for the first cold-weather venue Big Game in NFL history. For several months, the FBI, local police, marine and military experts have been working on comprehensive plans to secure and protect surrounding land, sea and air for this major event. Times are a changing and so is global venue security technology. The Sports Techie community blog published a piece last year about Qylur, a provider of security-screening solutions for stadiums and public venues, and the launch of Qylatron™. I had the privilege this past week of speaking again with the company founder about their Kiosk, and about facility security in 2014 at the three mega sport events this year that begins with SB 48 this Sunday. The broadcast begins on Fox Sports at 6PM PST. 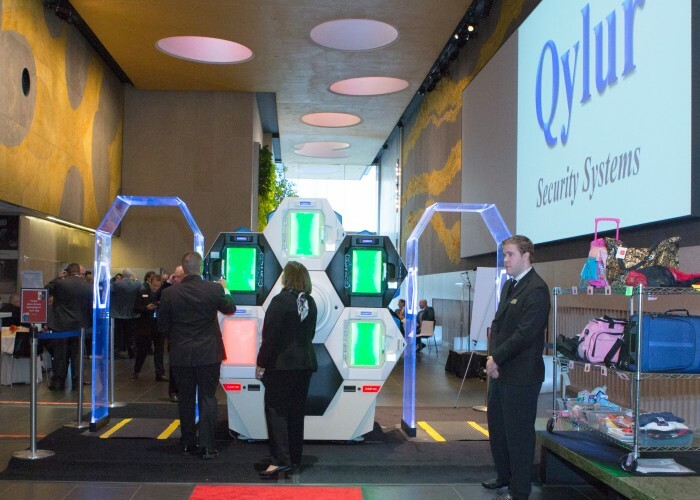 Last October, the Sports Techie community blog spoke to Qylur Security Systems about their companies Industry game changing new design of a revolutionary bag-screening technology and how they are a user experience-driven homeland security technology company. 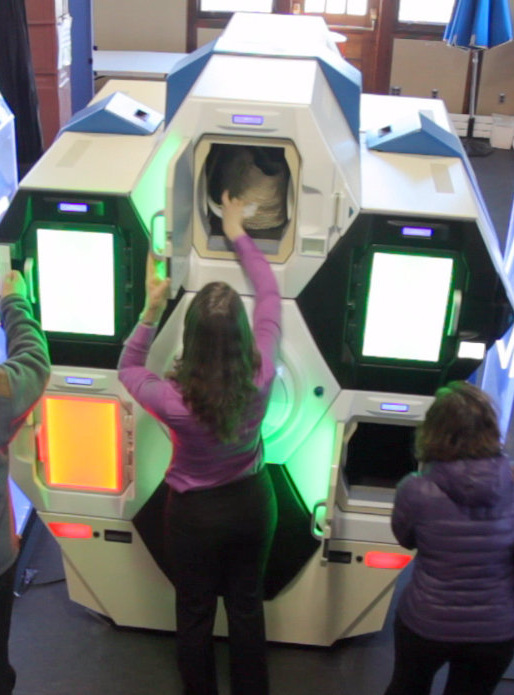 The Qylatron is the first fully integrated, automated checkpoint solution designed specifically for public venues. It scans guest IDs and screens bags five times faster than any current screening processes at airports, monuments and stadiums worldwide. The proprietary tech can also detect multiple security threats, help reduce overall security costs by enabling a 50-percent decrease in staffing, and certainly improves upon the current guest experience that can consist of time consuming lines, intrusive metal detection wands and humbling body searches. 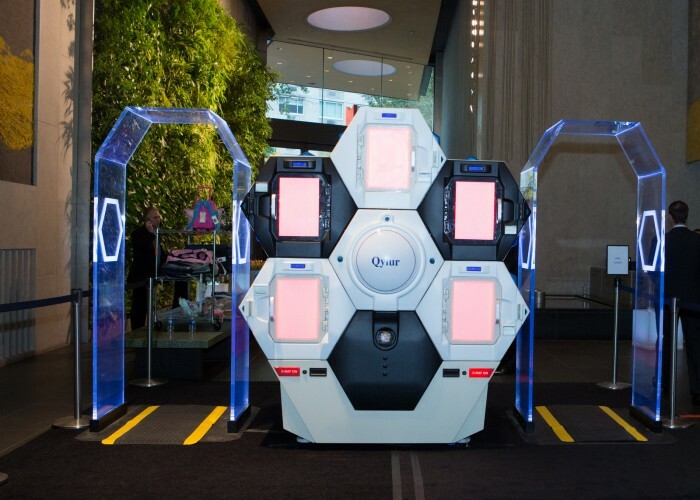 I was honored to talk with Dr. Lisa Dolev, founder and CEO of Qylur, once again about her company’s business development path in 2014 and the fan experience pains the Qylatron helps to diminish for venues and VIPs after their rollout latter this year. She has been focused on the human experience aspects of high-security environments. Prior to Qylur, she was involved in initiatives for protecting public and soft targets against terrorist attacks. Dr. Dolev holds a PhD in biomedical engineering. Her passion and experience make her a thought leader on the experience of fans given stadium and event security, and she offered the Sports Techie community insights pertaining to the Super Bowl and the upcoming Sochi Olympics and Rio World Cup which are mass publics events that are all beacons for terrorist threats. Qylur is releasing the system this year around the globe. “As fans flock to these major events, and locals play gracious hosts in the coming weeks, it’s safe to assume that a vision of carefree celebration without worry is long gone. Regrettably, terrorists have left their mark on American life since 9-11. Those involved with security in Russia, Brazil, New Jersey and New York are taking all measures available to them to ensure the safety of all citizens. The scale and scope of such measures keeps increasing, and with it, the fan experience is impacted. Now these prestigious events have the appearance not unlike that of a militarized zone that one would see on the news – justified, given the threat of potential terrorist attacks, but intimidating to would-be attackers and guests alike,” shared Dr. Dolev. The Sochi 2014 Winter Olympic Games begin next week and fans will be subjected to background checks and cell phone intrusion. Drones, robots and water proof technology are in place for this Olympics to help secure the world’s biggest event. Later this year, the FIFA World Cup in Brazil begins and hundreds of thousands of football fans will be transported to Rio and the other venue cities mostly by airplane to cheer on their national teams to victory and enjoy the fan experience. Airport security is sure to be stringent all over the country. The next Big Game is right around the corner in 2015. It is an unfortunate way of life now at sporting events that you endure metal detectors, possible pat downs and a car that is park miles away. It’s getting to the point where you have to leave four hours early in order to ensure that you catch your flight on time or see the first pitch, otherwise, you may miss some of the first quarter getting cleared by security, which usually are not the friendliest because of the seriousness of the work task. Sports Techie, I have friends in Seattle in New York this weekend enjoying the Super Bowl XLVIII atmosphere, rooting on the Seahawks to defeat the Denver Broncos and Peyton Manning. All SuperBowl fans will be limited with what they can bring inside the stadium by ever-changing security measures. It will be interesting to read the comments fans and friends share on social media about the parking situation, the funneled entry to MetLife Stadium and the feel of a military zone that may initially sour the 12s fan experience. The 2014 Winter Olympics, officially the XXII Olympic Winter Games, or the 22nd Winter Olympics, begins on the 7th and ends on the 23rd, in Sochi, Russia, with some events in the resort town of Krasnaya Polyana. Transportation hubs like the brand new train station in Sochi where the new Railway Station high-speed rail line has trains that can transport 7,500 passengers per hour, and the new Sochi airport that processes 4,000 travelers every hour, can certainly make good use of this technology. Like MetLife Stadium, Fisht Olympic Stadium is another venue that could have used the Qylatron for the opening and closing ceremonies if it had been available. Look for an Industry wide change by the 2018 World Cup which Russia is co-hosting. Perhaps Brazil will install the Qylatron in time for the FIFA World Cup 2014 that begins on June 12 and ends on July 13. Although Lisa could not talk about who has already signed up for the product rollout this year, her excitement to be involved with a major event this year in order to change the fan experience might suggest that Brazil might be the first. The Portuguese and Spanish language options at their website is another possible tip off. This would be a nice surprise for World Cup attendees who will notice the ticket taking and bag scanning differences immediately. If it cannot be rolled out to the masses yet, perhaps it can be done on a smaller scale for VIP ticket holders as a test event. The time is right for the Qylatron or an equivalent technological invention that is designed with DHS SAFETY ACT specs or better to fundamentally change the way fans enter venues. Our online community gratitude goes out to Lisa for the opportunity to learn more about the Qylatron and building security. As these major events approach Sports Techie will keep a global eye upon them.